NEW DELHI: With women comprising just 30 per cent of the online population in India, Internet giant Google today said it aims to help 50 million women in the country go digital in a year. “India has over 200 million Internet users and the number is growing. India is on its way to become the second largest Internet market overtaking US. But, only one-third or about 60 million of the online users are women,” Google India MD Rajan Anandan told reporters here. Internet can play a very important role in empowering women in India and help them to transform their lives, he added. “Internet can help women achieve self esteem, express their views freely, open up new opportunities and help them to gain education. Our new campaign aims to bring 50 million women online in the next one year so that they can reap the benefits too,” Anandan said. According to industry estimates, the number of Internet users in the country is expected to touch 280 million in the next one year. Google India has partnered HUL, Axis Bank and Intel as part of the campaign. “Along with our partners, we will create awareness about the benefits of Internet for women, educate them to use Internet to improve their lives and enable easy access points across the country,” Anandan said. Google has designed a website ‘www.hwgo.com’, which will host content covering the basics of Internet and content relevant for women in Hindi and English. The company has also started a toll free helpline number ‘1800 41 999 77’ to help women get answers for their Internet-related queries. What’s in it for partners? The company has currently partnered with brands like Shaadi.com, Johnson & Johnson, Healthkart, babyoye, among others for this campaign. Interested brands can apply on the website to become partners. Partners can either support by training women, providing access points or helping spread awareness about the campaign. Interestingly, the information section features articles from partner websites. It is a well-thought out move to provide information on different topics of interest since first time Internet users are more likely to consume information than do anything else on the Internet. Essentially, this also means that partner websites will get more visibility over other providers of similar services on the Internet. This could be good exposure and branding exercise for the partners. What’s in for Google? Bringing 50 million additional women users online would also mean that Google, like traditional media, is trying to target the most sought out user segment by advertisers. With more women users online, Google’s ad revenue is likely to increase considerably. Once more women come online, advertisers are also likely to benefit from the targeting options and analytics that Google offers. Traditional media only offers exposure to women audiences, however does not provide in-depth analytics like Google. Simultaneously, to cater to the growing Internet users, Google has also been encouraging businesses to come online through its different initiatives like its product listing ads initiative launched in March 2013, Google Business Photos program that was extended to India in February 2013, ‘Lets Talk Mo initiative to create mobile sites for businesses, Great Online Shopping Festival that happened in December 2012, free websites for SMEs, among others. Google seems to be working to create the demand and the supply to fulfill the demand. Google Australia is committed to investing in and empowering women in the tech community. In an effort to highlight some of the amazing work being done by Australian women in technology and bring to light their stories, Google hosted the inaugural Women in Technology (WIT) Week, which was held in Sydney from September 9-13, 2013. We celebrated with a variety of programs and events in the region, including a mentorship program, the first Google Women in Tech Summit (gWIT) and the APAC Anita Borg Memorial Scholarship Retreat were held. 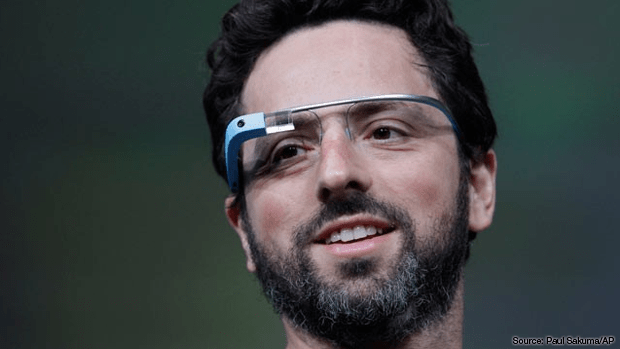 Application developers are racing to have their software ready to go when Google Glass, the wearable computer with an optical head-mounted display, finally becomes available to the general public by year-end. But while most apps will focus on the infotainment space, analysts predict there will be a huge secondary opportunity for app development in healthcare and physical-activity monitoring. Indeed, Shane Walker, associate director for Consumer and Digital Health Research at IHS, believes blood glucose meters, cholesterol meters and pill dispensers are just a few of the dedicated medical devices that could potentially tie into Glass via Bluetooth connections. In a recent online presentation hosted by Kaiser Permanente’s Center for Total Health, app developer Silica Labs demo’d Glass, indicating that one of the company’s objectives is to develop healthcare apps for the device. But right now, said Antonio Zugaldia, Silica Labs’ chief builder, the Google API isn’t optimized for real-time streaming, so connecting to peripheral devices — such as activity monitors — would require a workaround. However, said Walker of IHS, the Glass software is updated on a monthly basis, and Google did add video streaming in a recent update to the Mirror API. Meanwhile, developing native applications can be done using the Android Software Development Kit (SDK), even though this is something of a workaround until the full Glass Development Kit (GDK) arrives for native applications. CPRGlass. An app that will guide users step by step on how best to perform CPR. It will contact 911, inform users regarding adequate compressions (by playing the disco hit “Stayin’ Alive,” whose beat guides the user to compress at a rate of 100/min. ), let users know if there is an automated defibrillator nearby (information which comes from AED4.US’s crowd-sourced database), and perhaps contact someone nearby the AED to ask them to bring it to the user if possible. At the moment, CPRGlass is in the prototype stage, but its developer, Dr. Christian Assad-Kottner, interventional cardiology fellow at the University of Arkansas for Medical Sciences, hopes to release a beta version soon to selected Glass testers. CATHGlass. Also on the drawing board of Dr. Assad-Kottner, this app for cardiologists will provide important patient information during procedures. Cerora’s MindReader. BrickSimple, a developer of mobile apps, has demonstrated wireless Google Glass integration with Cerora’s MindReader over Bluetooth. The MindReader technology is designed to help medical personnel identify head injuries in both battlefield and sports scenarios. For diagnosing patients. The app will allow a doctor to use Glass to diagnose symptoms more accurately. Speaking into Glass, the doctor might say: “Patient has the following symptoms – itchy skin, fatigue, dry patches, and insomnia.” Glass might respond with two possible diagnoses – food allergy or mercury toxicity. For the operating room. The app could help a doctor compare a patient’s anatomy to a normal or healthy standard. The doctor might say: “Glass, show me what a normal liver looks like.” Glass would respond with an appropriate image. Because users hear Glass not through typical headphones or earbuds but through a bone-conduction transducer, Walker of IHS believes — and a professional audiologist concurs — that there will be an opportunity for Glass to be used for hearing augmentation. “If you have one-sided deafness, you could potentially use the bone conduction transducer as a hearing aid,” Walker explains. Companies like TransEar currently employ that technology, he says, but their device is constructed to fit into the ear canal. Fairly common, too, are implanted bone conductors for severe hearing loss. Help With Procedures. Imagine this: A resident says, “OK, Glass, call Dr. Smith.” Dr. Smith responds (via Glass) and the resident explains that he is stuck and not sure how to proceed with a patient. Dr. Smith may recommend a different approach since he is able to see what the resident sees – or he can instruct the resident to stop the procedure altogether. Jack Kent, IHS principal analyst, mobile, said he definitely agrees that medical applications, as well as industrial use cases where hands-free access to information is useful, “will be a real opportunity for Google Glass. From the time it had been clear that Android 2.2 is not a perfect suit for tablet devices,Google got itself under self-created pressure. As a result, people were expecting the early roll-out of next version of Android OS 3.0 (Gingerbread) from Google. Today Google has set the expectations of all hardware & software vendors in a right direction by confirming the launch of Android 3.0 in December, as reported by hardware community in Taiwan. It was always believed that Google is monitoring the growth of tablet PC very closely and to have better cap over the tablet PC market share. Company wanted to deliver the best suitable OS to all HW vendors within such time frame when all of them would be ready to ship their iPad rivals. As most of the tablet device manufacturers like LG, Toshiba, Acer and Samsung have already planned for roll-out in January next year, Google has committed to deliver the new OS – which is meant more for Tablets – in December. Currently Samsung Galaxy Tab, which is based on android 2.2, is gearing up to to ship from 1 November. However, company has confirmed that Android v 2.2 is not suitable for tablets as it has been developed keeping touch technology, specifically for smartphones, in mind. Despite of hard deadlines Google don’t know want to take any chance by delaying the shipment of Android 3.0 which may cause the manufacturers to occur losses and as a result will keep them away from Android platform. After such announcement it’s quite possible that other manufacturers like Toshiba, Lenovo, Asus and HTC will hold their tablet launch until Android 3.0 release. Google is also committed to launch Android 4.0 in second half of 2011. An aggressive strategy of Google towards touch device OS clearly indicates the importance and overall future of such devices. Google is also challenging the other such OS by keeping the adoption cost at lower end. While Windows OS license for such devices costs around U.S. $50-60, Android comes with an attractive price tag of just $10. Besides the software part a significant difference of USD 30 between Intel and ARM processor also a factor for players to bid on Android platform for their tablet devices.